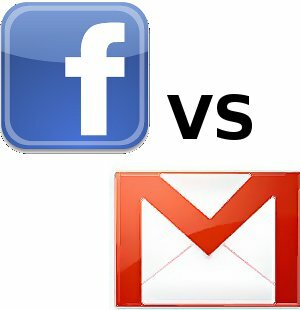 Comparison of the cloud email services that provide transactional email or bulk email software (marketing software to manage mass email such as newsletters). These services help you to send these emails without having to configure and manage mail servers, ensuring you to have state of the art configuration to ensure email deliverability. Your application can usually use SMTP protocol using their SMTP Relay, or use a specific API. These messages are especially important for ecommerce, shopping sites... (crucial step of the customer relationship : the customer would be really disappointed if he never receives the expected email). The deliverability criteria is really important. This detailed comparison chart will help you to choose your cloud email solution for bulk email or transactional email. Most of them have a free plan, it will help you to test several email sender before deciding which one is the best for your needs. 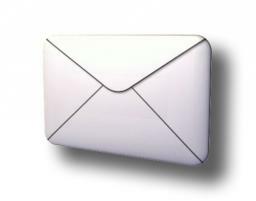 All accounts come with the unlimited number of messages to send 10.000 email gratuits par mois ! Send Unlimited Cold Emails. as low as $15 per Month. Cancel any time, no contract Cancel at any time, no contract Anytime by request. No questions asked Annulation à tout moment, sans engagement Any Time & Pay as you Go Plan Available Cancel at any time, no contract. Cancel at any time Cancel at any time, no contract Cancel any time, no obligations Cancel any time, no contract Pay for what you send; no required contract or commitments. Cancel at any time, no contract Sans engagement, annulable à tout moment Cancel any time, no contract Cancel any time, no contract, month-to-month Cancellation must be issued via the Service. Any cancellation issued must be done three (3) days prior to the end of the contract term. Cancel any time, no contract Cancel any time, no contract, month-to-month monthly contracts Anytime by request. No questions asked Cancel at any time Cancel any time, no contract. Excerpt Compare side-by-side Best Transactional Email Service Providers with a review of each transactional emailing software enabling mass email, newsletters... Bulk email software comparison. Nice sheet, Vanina. Could you please add Pepipost to this comparison sheet: http://socialcompare.com/en/comparison/pepipost-4odu2rou To give you a brief, Pepipost is an AI powered email delivery platform who not only gives a high inbox deliverability. But also reward the good senders by not charging them anything for the opened emails. Please add see if services has list management function. i.e. Mailjet/Seninblue has list management function for free. Thanks for the list! I had heard of most of them, but some were completely new. I have been using http://proofy.io/ for about a year now and I would recommend their service. Have had a good experience with Send in Blue. Just waiting for them to develop multi-user login. Fingers crossed! Hi Vanina, great comparison! Could you please add InboxRoad to the comparison too? http://socialcompare.com/en/review/inboxroad Thanks in advance! SendPulse is a great new email provider for your businesses. They have great pricing levels and tiers depending on what you are looking for for your business.